Urban residents of Connecticut were more likely to be admitted to treatment programs funded or operated by the state’s Department of Mental Health and Addiction Services even though rural areas had the highest rate of opioid-related overdose deaths. 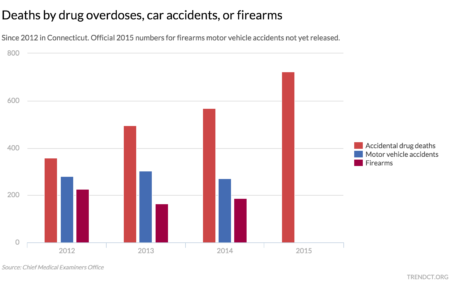 Which drugs have been devastating communities the most, what lawmakers have attempted to do to contain the crisis, and what more can still be done. Connecticut’s cities by far have the greatest number of drug-overdose deaths, but data show that people in the state’s rural towns can be statistically more likely to die. 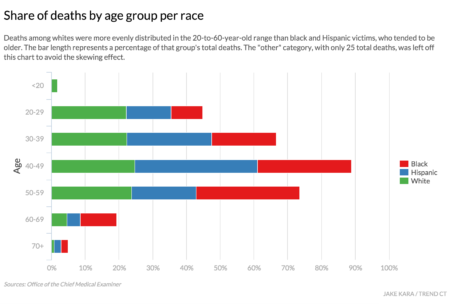 Questions have been raised about whether the attention paid to the rise in opioid deaths is related to its disproportionate impact on whites. In Connecticut, that racial disparity is real and growing. On average, two people die of a drug overdose every day in Connecticut. 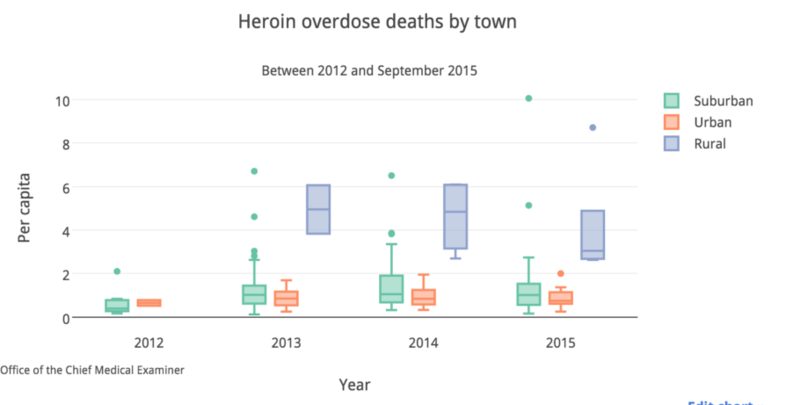 In a series of stories all this week, TrendCT uses data to better understand the state’s intractable drug-overdose problem. Opioid pills and heroin are making a lethal comeback among young adults in Connecticut communities. Between 2012 and September 2015, the average age of death in Connecticut for those with heroin in their system was 38, while for cocaine the average age was 43.